Management, business, anarchism. Can these three terms, that come with so much baggage, be fruitfully brought together? This special issue brings together contributions that range from discussions of anarchist political economy and anarchism as a theory of organisation to the practices of anarchist alternatives and the radical imagination. Scholars from anarchist studies as well as critical management studies highlight the various ways the connections between the two fields can be articulated. 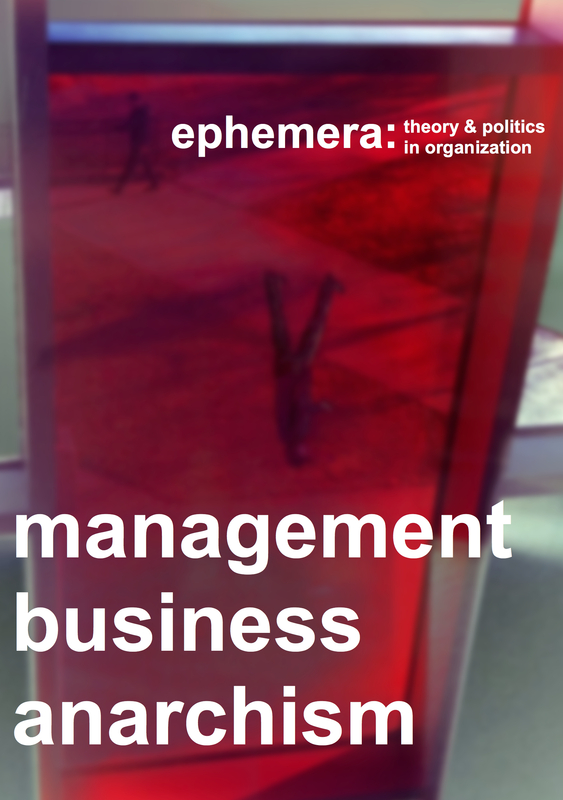 Rather than offer the final word on the intersection between anarchism, business and management, this special issue tries to open a crack in existing academic orthodoxies on alternative organisation and create a space for critical reflection on the potential anarchism has to provide alternative ways of thinking and enacting organisation. The special issue includes five sections: ‘Anarchism as a theory of organisation’, ‘Key ideas in anarchism and CMS’, ‘The roots of anarchist organisation’, ‘Anarchist praxis’ and ‘The radical imagination’. Did you hear the one about the anarchist manager?